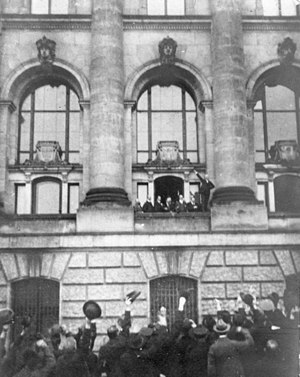 Caught up in the hype and propelled by a surge of nationalism, this German politician used a very large window to amplify his agenda among the masses on this day when history was made. But he wasn’t the only one. We don’t have to be history geeks to know that what happened next changed not only Germany, but the entire world. But I don’t want to go there today. Not exactly. Today I want to pause and look out the windows. When Philipp Scheidemann made his declaration out the window, he was driven by a lot of things. He was a leader, and he was surrounded by people who were hungry to be led. Whether his words out the window were calculated or impulsive, he had an agenda, and by shouting out the window he intended to get the word out and to draw the people in. It makes me wonder how many times I have flung open the window like he did? Upset enough to speak out of turn. Angry enough to do away with filters and edits and to speak from a place of pure emotion. Motivated enough to do and say whatever it takes to get the people on my side, no matter the cost. When windows are flung open to make way for our agendas, unchecked passions and power-lust, well… let’s just say that open windows are very dangerous places to be. They had achieved their goal (in the short term) and were prepared to let everyone know it. They weren’t about to be upstaged by their opponents – after all, they had access to a window, too. How many times have I flung open my window to rub noses in my victories? To demand equal time and equal attention? To revel in status and accomplishment and to say, “look at me!”? How many great troubles, in our lives, in our world and in the church, have begun as a result of such childish ways? It might give you a chill, but the name Haman rings a bell when it comes to biblical characters who stood too close to open windows. The king’s right-hand man, Haman detested the Hebrew people so much that his Hitler-esque plan nearly led to mass obliteration of the Jews long before the first Nazi death camp had been conceived. Haman was known to do things like brag and boast, to anyone who would listen. He bragged about his riches. He bragged about his money. He bragged about his many children. He bragged about the honors bestowed on him by the king. He bragged and he boasted and he flung open the window to an audience (and to great troubles as well). “‘What should I do to honor a man who truly pleases me?’ Haman thought to himself, ‘Whom would the king wish to honor more than me?’” He proceeds to answer the question, picturing himself as the one honored, because of course this is what the king meant… right? Unfortunately for Haman, he was upstaged by a Jew. And not only that, but he was assigned the task of parading the honored Jew through town, shouting “This is what the king does for someone he wishes to honor!” (Esther 6:6-11). Shortly after this humiliating scene, Haman is hung for his treachery and lies, on the gallows he had built for hanging Mordecai, the very same Jewish man the king had honored. Even though he knows that what his hearers really want is a good show, Paul also knows how important it is to be careful around open windows. Instead of a childish, self-serving response, Paul counters by pointing out how silly (and even hazardous) this window-flinging game really is. When you shout your rhetoric and I respond by slinging mine, well… that’s how wars get started. After all, God alone is worth boasting in! In light of Him, what else is there to say? A revolution began on November 9, 1918, 93 years and 1 day ago. How about starting another one – you and me? Tomorrow – on the anniversary of the two-windows-flung-open. I’ll open mine, and you open yours, and together we will declare that the Kingdom of God is ALIVE and WELL! Not because of anything that you and I can do. Not because our words mean anything at all. But because we have a God who is worth boasting in! This entry was posted in PINK Tuesday and tagged Bonhoeffer, Eric Metaxas, Esther, Haman, Jew, Philipp Scheidemann, revolution, revolutionary Christianity by Pink Shoes Ministries. Bookmark the permalink.